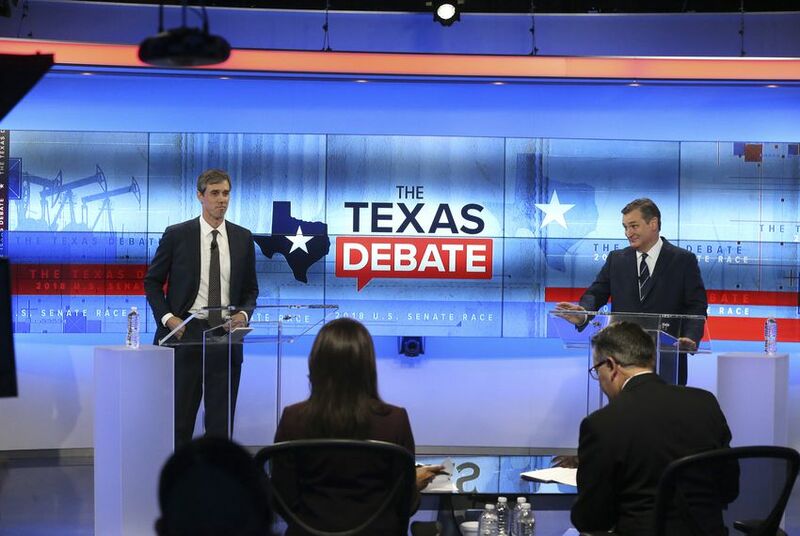 U.S. Sen. Ted Cruz, R-Texas, and his Democratic rival, U.S. Rep. Beto O'Rourke of El Paso, faced off for their second — and maybe final — debate Tuesday night in San Antonio. Trump, who is coming to Houston on Monday for a rally with Cruz, fueled a number of contentious exchanges during the debate at the studios of KENS 5, the CBS affiliate in San Antonio. Early on, O'Rourke accused Cruz of not being able to stand up to the president for Texans, while Cruz went on to dismiss the idea O'Rourke would be able to work with the president after expressing support for his impeachment. And "Lyin' Ted" was not the only Trump-style insult aired in the debate, with O'Rourke telling Cruz multiple times that he was "all talk and no action." Cruz's campaign argued O'Rourke's more hostile performance was a reaction to a recent spate of polls that show Cruz expanding his lead.